Are you purchasing a new or used car, SUV, minivan or motorcycle? Check out our new, low-interest rates! Plus, your first task of gas is on us! Finance your vehicle with Stark Federal's low rates. Share a picture of you and your new vehicle on our Facebook, Twitter or Instagram page. 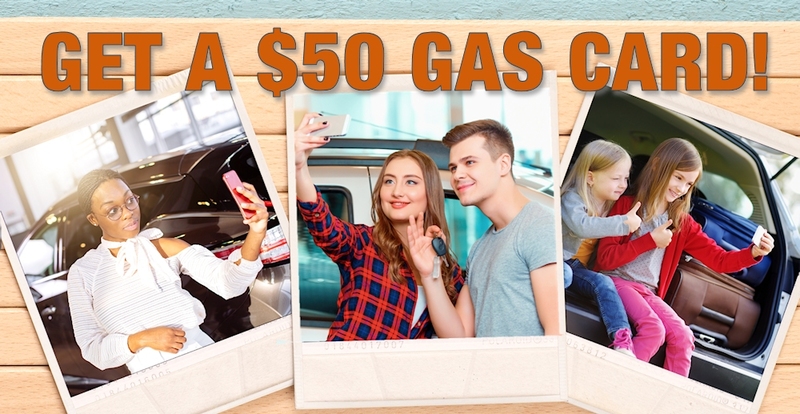 Stop in and we'll give you a $50 gas car! Click here to apply online or call the Anyhour Loan-by-Phone at 1-866-467-0427. * APR = Annual Percentage Rate Rates reflect an additional .35% rate reduction with payments automatically deducted from your Stark FCU checking or savings account. (Rate reduction does not apply to any mortgage or HELOC programs.) All rates are subject to change. Rates are calculated by Annual Percentage Rate (APR) $50 Gas Card offer ends on June 30, 2019. Call 330.493.7602 for details.